When the weather cools, classic meat and potatoes begin to appear on the menu. Whether your a fan of steak and baked potato, beef stew, or pot roast, these five recipes are sure to satisfy. While some recipes require a little more love and effort like the beef provencal stew, others like slow cooker beef pot roast are quick and easy but all of them are delicious. Shepherd's pie is an Irish classic and this individual version makes use of the whole potato. Instead of baking the shepherd's pie in a pastry crust, this recipe loads the beef stew into potato skins, creating an edible bowl, and tops it with whipped mashed potatoes. 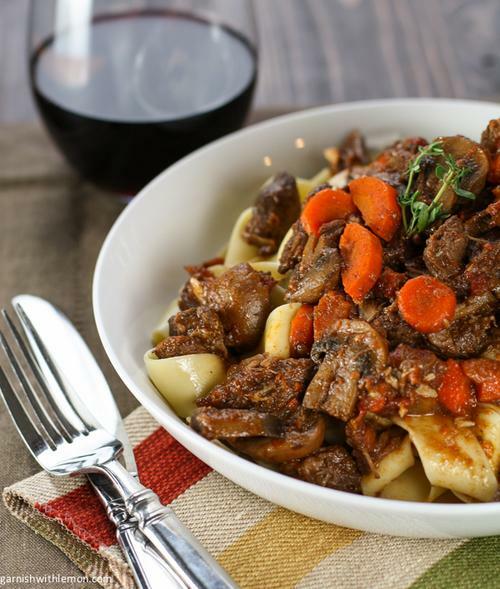 French beef stew is a cozy fall meal that's exploding with flavor. Beef chuck roast is braised in red wine and stock with mushrooms, carrots, garlic, onion, tomatoes, spices and herbs. This rich and delicious stew can be eaten on it's own with a slice of crusty bread or serve over pasta. Steak and potatoes don't always have to coincide in a hearty and heavy meal. This lighter version, steak and potato salad, bring the two ingredients together in a healthier way. Grilled flank steak is paired with tender potatoes and tossed in a balsamic vinaigrette with fresh corn and Italian parsley. Serve this meal on a bed of mixed greens with a sprinkling of blue cheese. Classic meatloaf is a simple and straightforward recipe is a classic and echoes the days of diners. 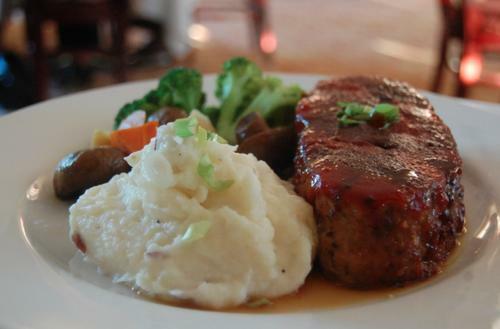 The key to keeping your meatloaf moist is to use a a ground beef with a higher fat content. I like to use 10 or 20 percent lean ground beef for my meatloaf. Instead of glazing the meatloaf with ketchup, a homemade savory sauce is used to baste the meat loaf to add another layer of flavor. 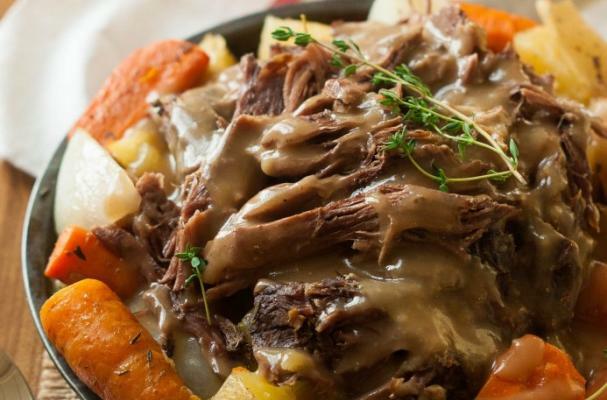 Slow cooker beef pot roast is a stress-free meal that can be prepared any night of the week. A beef chuck roast is laid on a bed of onions, carrots and potatoes can cooker low and slow. Depending on your slow cooker, this meal is usually done in 4 to 5 hours (on high). Before serving, whip up a quick pan gravy using the juices from the roast, you won't regret putting in the little extra effort at the end.